Bars and Restaurants for Sale in Benalmádena. Britania Estates. The booming town of Benalmádena holds fantastic opportunity for those looking to buy a bar or restaurant in Spain. Benalmádena has been popular with tourists from all over Europe for thirty years and continues to grow! One of the Costa del Sol‘s ‘party’ towns, Benalmádena can offer the buyer a great life and profitable business, all under the sunshine of the Costa del Sol. Bars and Restaurants for Sale in Benalmádena. Businesses for Sale in Benalmádena, Spain. The tourism in Benalmádena has been booming for years and shows no sign of abatement. Catering for people from all over Europe, Benalmádena is still one of the most popular tourist destination in the world for the British. The variety of bars and restaurants for sale in Benalmádena shows the increasing and cosmopolitan market. The town also has a large, native population, with great possibility to attract the low-season market. 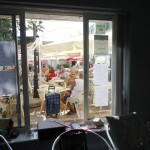 Ex-pat life in Benalmádena can be relaxed and easy, but as a bar or restaurant owner, can a busy and, more importantly, a very profitable one. The town has been a tourist haven for decades and continues to grow. If you are considering a move to Benalmádena, see the residential property for sale from The Costa del Sol Property Shop. If you are thinking about buying a business in Benalmádena, get in touch with Britannia Estates. We’re here to help!